MAGic was happening. even at the tender age of twelve, Lara felt the energy around her from the land. This afternoon was no different. A family of kangaroos grazed in a nearby paddock, their imposing figures framed in the afternoon glow as a little joey moved around in the dry, golden grass. They might even be big reds, but with the ochre hues from the setting sun behind them, Lara couldn’t be sure. She studied the pink and gold sunset in the reflection of her father’s eyes. To Lara, he was the amazing one. Oh, how she was going to miss him when she was sent away to boarding school next year: his brown stubble and wayward hair half hidden beneath his favourite red cap, the creases around his eyes and mouth from years of laughter. Dad always liked a good joke or harmless prank, and lara wouldn’t have him any other way. 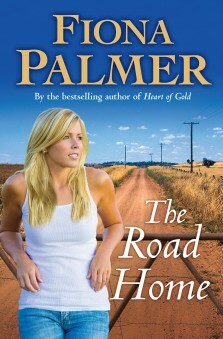 he just wouldn’t be her dad without the checked shirt, singlet and jeans, and the leather Rossi boots. A farmer through and through. it just wasn’t fair that she’d have to say goodbye to all this. ‘Come here, possum,’ he said, holding out his arm. The mouth of the shed framed her father in black like the thick edges of a photo frame. Lara eagerly scooted her brown milk crate closer to her dad’s and enjoyed the warmth from his embrace as she tucked her arms around his chest. Her own checked shirt pulled tight against her slender arms and the button on her jeans dug into her belly, but she wouldn’t move for anything. She inhaled deeply. He smelled like grease, diesel and dust. ‘What? Sitting by the shed watching the sunsets?’ his deep voice teased. He gazed down at her. His eyes glistened with affection and the colours of the sky glimmered off his threatening tears. He blinked them away and planted a kiss on her head. ‘Why can’t I stay here?’ she asked for the millionth time. ‘But Noah gets to stay here,’ Lara tried once more. Noah got to go to the local district high school and stay on the farm while she was heading miles away to the big city of Perth. If only she’d been born a boy, this wouldn’t be happening. ‘Ah, yes, but Noah will be running the farm and you’ll be going on to something wonderful,’ he said with a sigh. Lara knew her dad didn’t really want her to leave. If he had his way, he’d probably let her stay. It was Mum who had the really big plans for her. Mum had been studying to be a nurse when she’d met Dad, but had never gone back to it once Noah was born. She still regretted it. ‘Out on the motorbike,’ Lara said. Her mother laughed. ‘I should have guessed.’ She flicked her long braid back over her shoulder and gazed across the darkening land. Lara wanted to be just like her mum, so beautiful, graceful and loving. The sky was stained a lustrous cherry with splashes of gold, and tiny clouds dotted the sky like buttered popcorn. It wasn’t just the sky that was so breathtaking, but also the remaining warmth of the sun, the stillness and the echoing birdsong in the trees. It was the smell of lingering dust and eucalyptus and the feel of the crisp night air starting to settle. It was having people she loved beside her, the feeling of the big wide world before her and the safety and security it all seemed to bring. That was the magic. Moments like these where Lara felt so blessed to be who she was. And no matter what her parents told her about it being best for her, she was sure she’d never understand why she had to leave it all behind.